A recent Nobel entry on USA Network is the drama-thriller TV series Mr. Robot. It is becoming a popular show right now. The concept is fresh and audience seems to love it. It is favorite among fans for its close-to-real-world-hacking, real technical facts, fight club fantasy, and much more. In fact, it was one of the best shows to debut in 2015. To this date, this serial has 2 seasons and total of 22 episodes. Season 3 is set to come out in 2017. Is Mr. Robot on Netflix and if not why not? For those who don’t know, this show is more of a Techno thriller and a Psychological thriller. The technical hacking facts are correct (They are using Command Prompt) and Elliot has personality problems. 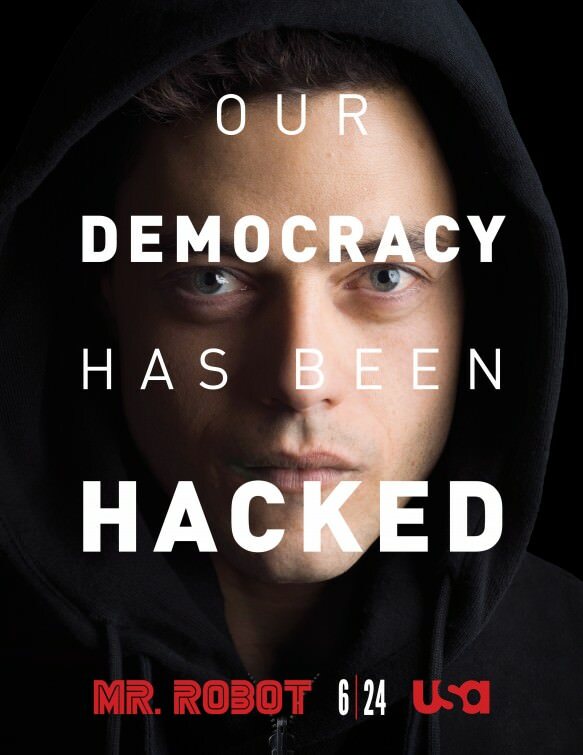 Elliot Alderson is a cyber-security engineer by day and a hacker by night. He is shy, fails to express emotions and introvert. Elliot comes to a point where a hacktivist group leader hires him to destroy the corporation he is paid to protect. There are many plot twists that are surprising. This series has won many awards. Mainly for its acting, music and writing. This series has won 2 Golden Globe in 2016. In total, the series has 16 award wins and 21 nominations. It is also #91 Top rated TV show in IMDB which is highly unusual for a new TV show like Mr. Robot. So, definitely producers are doing things different than other saturated TV shows. They have separated themselves from the crowd. The Season 3 is aired to come out in 2017. Mr. Robot TV Series is not available on Netflix Instant. Why isn’t Mr. Robot on Netflix? Certainly, many people likes this show and they are waiting for the answers too. Mr. Robot is produced by the USA network. It has done an exclusive deal with Hulu for broadcasting this show. Hulu is a direct competitor of Netflix. It means, the show will not be available on Netflix any soon. So, forget Mr. Robot on Netflix? Well, it is available on Netflix DVD, just not on Netflix instant. Season 1 is available to rent for just $4.99 a month. Mr. Robot Season 2 has just ended on September 21, 2016 and Season 3 will be live in 2017. The only option you have is to buy a Hulu subscription. A free trial will do the work. I hope this article covered what you were looking for. Here is the Wikipedia page of this TV series. What did you like about this show? Feel free to comment your thoughts below.